New! The Drawp support website www.Drawp.it now offers premier printing and shipping of your child’s artwork created with the award winning Drawp app. 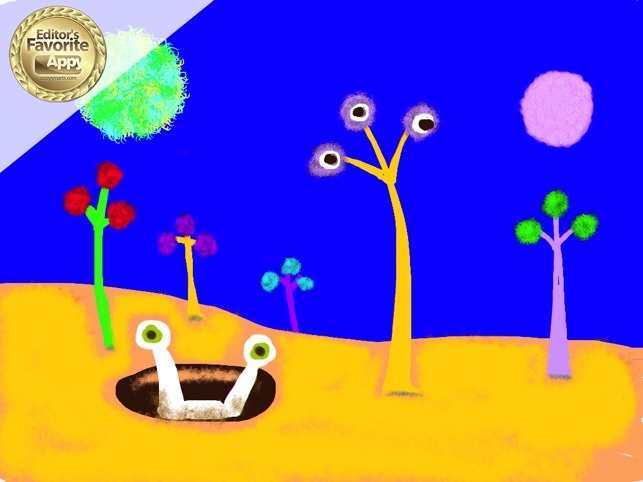 Sign into the www.Drawp.it site to see a Private Gallery of your child’s artwork created with the Drawp app. Star your favorites and order professionally printed books, gallery wrap canvases, photos or greeting cards. • New! 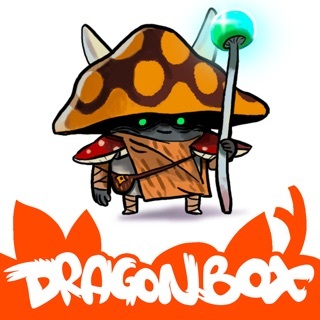 Drawp users can sign into the www.drawp.it website to view their Private Gallery of art created with the Drawp app, and to order books, cards, prints and gallery wrap canvases featuring their family’s artwork. 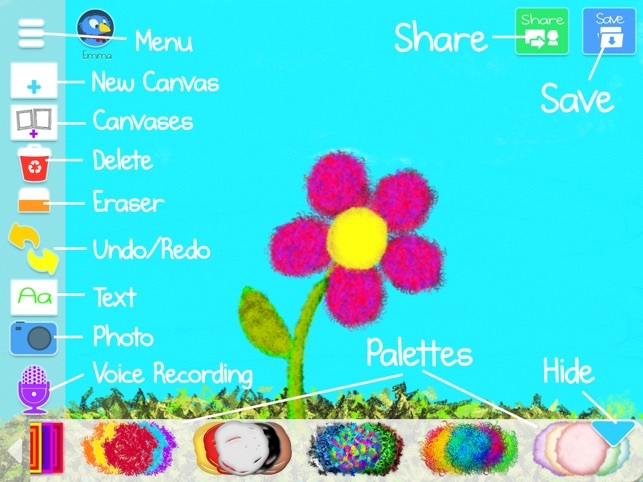 • Drawing + photo + voice: Kids can use innovative paints, add handwritten notes, audio messages and photo stickers. • Paints include innovative unique textures such as Fluff Fiesta, Pixie Paste and Fuzzy Friends. • Meaningful: Parents can receive drawings and let kids know how much they care - anytime, anywhere. • Designed for families: Online and offline accessibility, and multiple children's profiles make it enjoyable for children and parents alike. 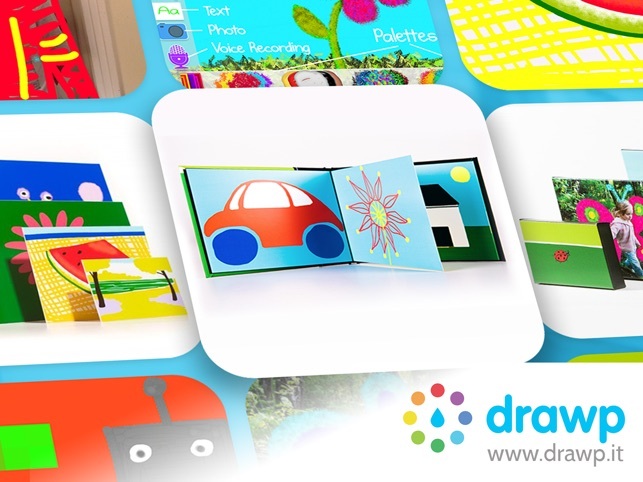 Drawp Unlimited is the perfect tool for your child to connect with loved ones through creativity. 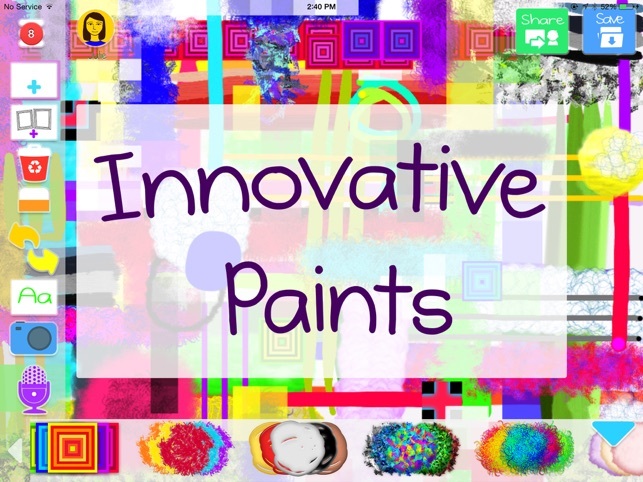 Over 200 paint colors and unique drawing textures, developed with leading artists, give children a virtually limitless set of tools to explore and create with. 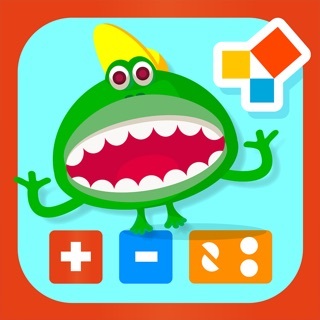 The kid-friendly interface is easy for small fingers, and yet sophisticated enough to express big ideas. 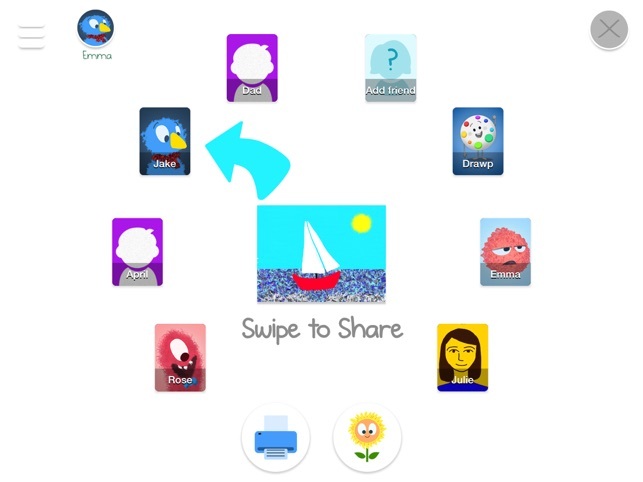 Simple swipe sharing lets children easily share original artwork with family. I was just reading about how not enough support to our children's creative efforts is the underlying cause of so many not-so-ideal patterns later in life. 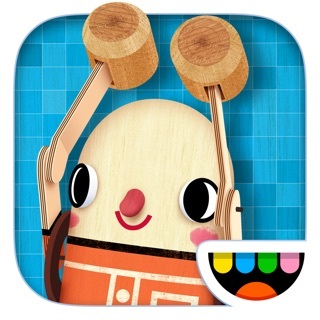 This is a great app to tell our little ones how much we adore their creativity and support it while they create.